Hello my fellow souls! 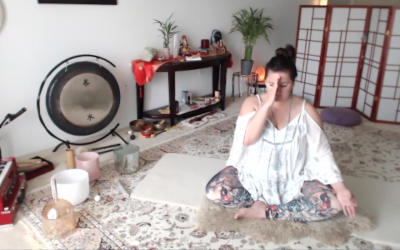 Words cannot express how incredibly excited I am about The Dancing Soul blog, my amazing new relationship, and all the insight on connecting the patterns of my life. I am learning a new dance, and trying to figure out the steps. For so long I have been marking the steps without honestly dancing them. I feel as though I am beginning to understand the difference between my fearful thoughts and my inner voice of wisdom. The fearful thoughts are those aspects where I feel I’m not getting enough attention, or someone isn’t doing enough for me, or acting the way I feel they should. My inner voice is quiet and very subtle. It is that inner knowing, that when listened to will always show me the truth. My inner voice of wisdom will always allow me to look at myself when hurting, rather than to lash out in anger or hurt. It provides the perception to know I am always in control of my authentic power, and there isn’t a soul in the world that can take that from me. I find everything in my life has been leading me to this very moment. Every book I have ever read, every spiritual healing I have been to, and every dance I have danced…I am so profoundly amazed at the beauty of life and where it carries us. I have realized the years wasted worrying about the past or what the future will bring prevented me from really living life. The best of life was passing me by because I wasn’t living in the moment. What kind of life was I creating for myself? I was suffering from a dull ache, an underlying sadness or loneliness. But, I can assure you I would have moments where I would glimpse a calm in my soul. I would sense that happiness I thought I would have when I could finally dance well enough, or my career was the way I had envisioned it, and I finally had that perfect relationship. Those glimpses were actually, for a brief second, being in the moment. The rest of the time when I was worrying about past/future, well I believe that’s when I was creating shifts in my personal current. It was part of my journey to have moments where I felt as though I was standing in a crowded room screaming at the top of my lungs and no one was listening. In the moment is where life happens, not in the contemplation of past or future events! I am starting to feel the steps to this new dance. I feel the music to a greater degree than at any other time in my life. Although, I realize I may never have a mind completely void of fearful emotions; I have the power to choose to react to those fears in the same manner I always have, or I can choose to be brave and dance my new dance! I create more negative situations every time I react to my fears and let my emotions control me, but every time I respect and acknowledge them I am creating a deeper sense of authentic power! It is my wish to share my experiences and insights with the hope that it may inspire awareness in your life. So lets take a breath and try to dance this dance together.